The LSP-900 Aircraft Lavatory Servicing Vehicle is designed to provide airlines and the airport servicing industry an all stainless steel unit for application on all current new generation aircraft. Engineered to the highest standards, the Model LSP Series stands up to extreme weather and abusive ramp conditions. Improved design features simplify aircraft servicing, provides economical operation, reduces flight delays, cuts maintenance costs, and minimize the risk of environmental hazard. All pumping operation controls are performed from the front lifting platform in a safe environment. 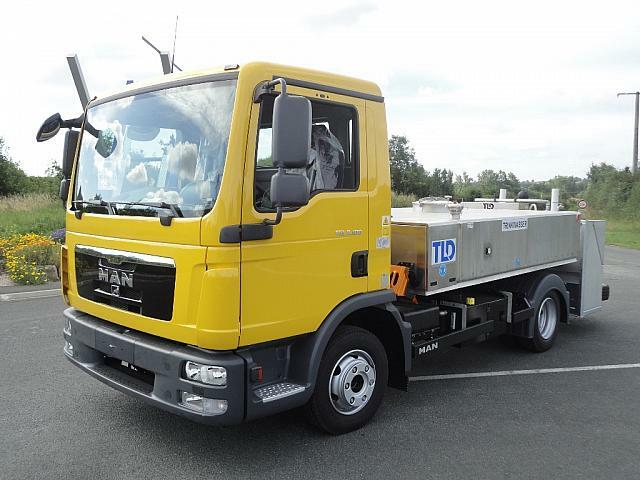 The operator’s cab is rubber shock-mounted for a comfortable ride and provides excellent ramp visibility. This equipment offers aircraft servicing up to 5 m / 16,4 height (2,80 m / 9,2 lift). The LSP complies with common international requirements and regulations. 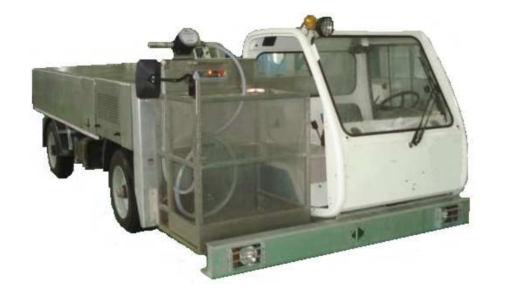 The LSP-900-V Vacuum Aircraft Lavatory Servicing Vehicle is designed to provide airlines and the airport servicing industry an all stainless steel unit for application on all current new aircraft generation. Engineered to the highest standards, the Model LSP Series stands up to extreme weather and abusive ramp conditions. Improved design features simplify aircraft servicing, provide economical operation, reduces flight delays, cuts maintenance costs, and minimize the risk of environmental hazard. The LSP-900-V vacuum waste extraction system offers significant advantages over conventional gravity drainage systems: it reduces servicing time by half; eliminates odours; simplifies servicing of aircraft with low lavatory outlets and quickly unclogs obstructed plumbing. All pumping operation are controlled from the front lift platform in a safe environment. 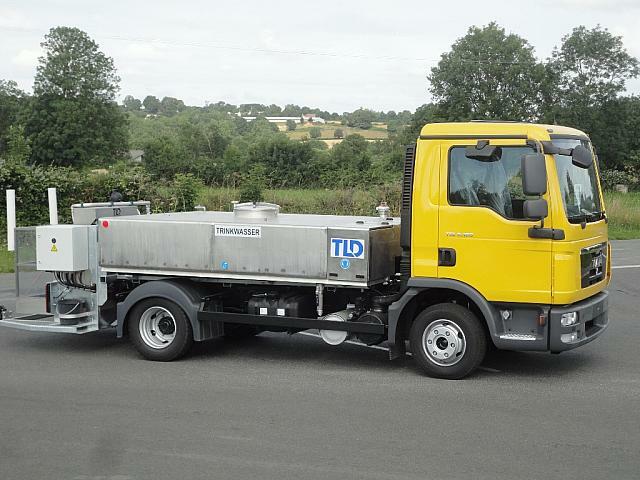 The operators cab is rubber shockmounted for a comfortable ride and provides excellent ramp visibility. This equipment offers aircraft servicing up to 5m / 16,4 height (2,80m / 9,2 lift). The LSP complies with common international requirements and regulations. 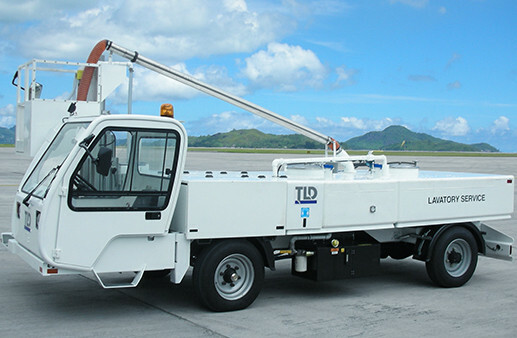 The LTM-900 Aircraft Lavatory Servicing Vehicle is designed to provide airlines and the airport servicing industry, with an all stainless steel unit for servicing aircraft lavatory systems. It is compatible with all present and known new generation aircraft. Improved design features simplifies aircraft servicing, provides economical operation, reduces flight delays, cuts maintenance costs and minimises risks of environmental hazard. The totally enclosed self-contained module is suitable for mounting on a standard cab type chassis, it provides a compact, low profile unit for driving under both narrow and wide bodied aircraft. 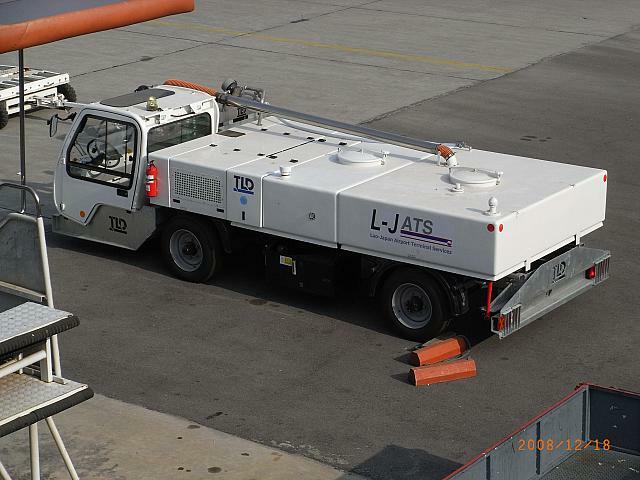 The LTM-900-V Aircraft Lavatory Servicing Vehicle is designed to provide airlines and the airport servicing industry, with an all stainless steel unit for servicing aircraft lavatory systems. It is compatible with all present and known new generation aircraft. 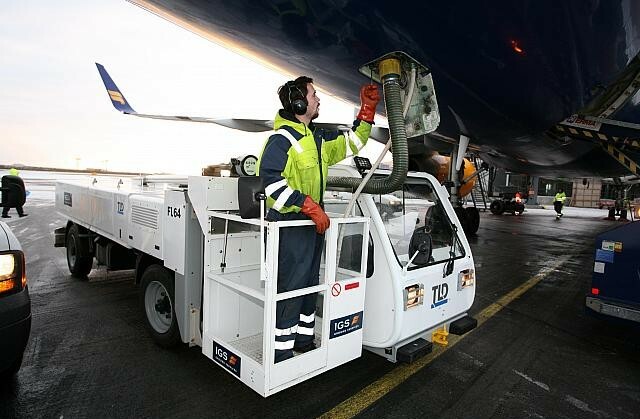 The V-series features a vacuum pump which facilitates waste removal from aircraft. Improved design features simplifies aircraft servicing, provides economical operation, reduces flight delays, cuts maintenance costs and minimises risks of environmental hazard. The totally enclosed self-contained module is suitable for mounting on a standard cab type chassis, it provides a compact, low profile unit for driving under both narrow and wide bodied aircraft. 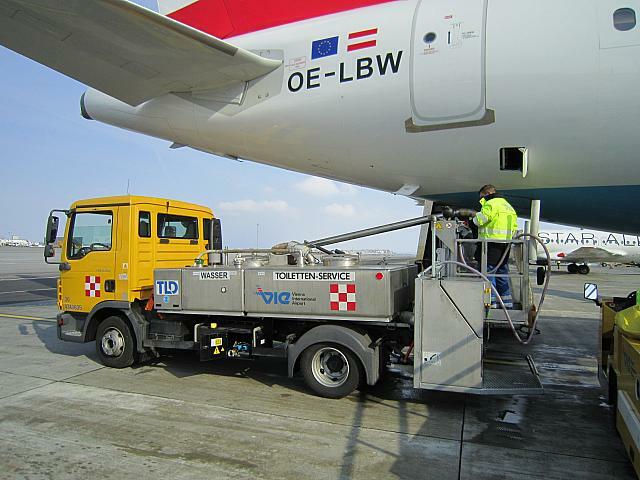 The WSP-900 Aircraft Potable Water Servicing Vehicle is designed to service the water tank of all commercial aircraft. 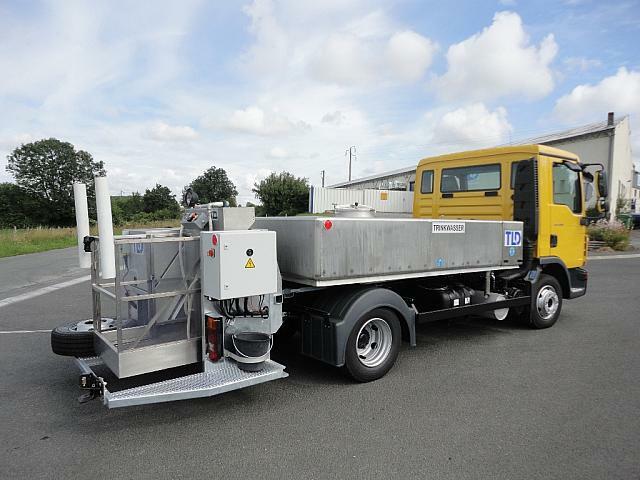 It is equipped with a hydraulic lifting platform at the front right hand side of vehicle and a stainless steel water tank (3500 l / 930 U.S. gallons) rubber mounted on chassis. All pumping operation controls are performed from the front lift platform in a safe environment. The rubber shock- mounted driver’s cabin provides operators with excellent ramp visibility. The platform control station is equipped with a flow meter with zero reset. 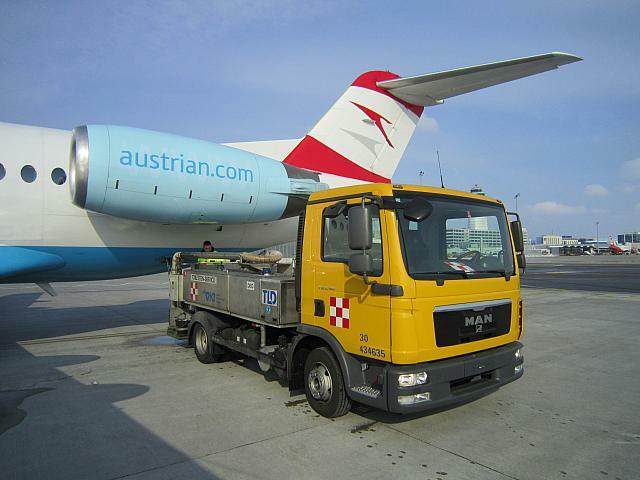 This equipment services aircraft up to 5 m / 16,4 height (2,80 m / 9,2 lift). The WSP complies with common international requirements and regulations. 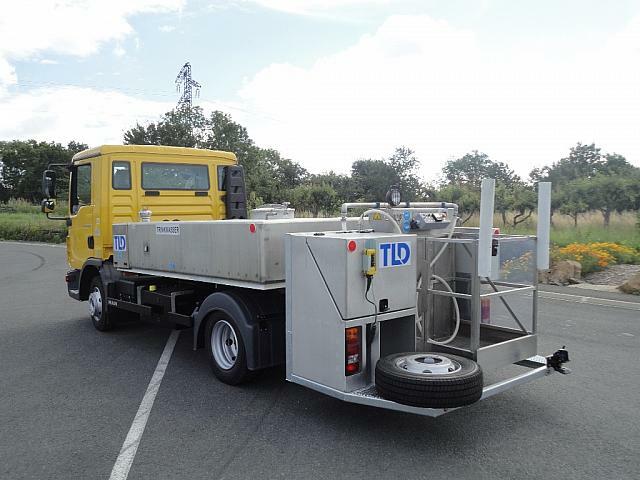 The WTM-900 Aircraft Potable Water Servicing Vehicle is designed to provide airlines and the airport servicing industry, with an all stainless steel unit for servicing aircraft potable water systems. It is compatible with all present and known new generation aircraft. Improved design features simplifies aircraft servicing, provides economical operation, reduces flight delays, cuts maintenance costs and minimises risks of environmental hazard. The totally enclosed self-contained module is suitable for mounting on a standard cab type chassis, it provides a compact, low profile unit for driving under both narrow and wide bodied aircraft.